This week saw news that Meghan and Harry had enjoyed a lovely babymoon, that they might have been hoping to raise their child as a vegan (some say the Queen has voiced her disapproval), fielded further chatter about the royal bub possibly being a little girl and heard why renovations of the couple’s new home Frogmore Cottage ran late – because they decided to put in an organic veggie garden. But now that those issues are mostly sorted, they’ve moved into their new digs and are pushing forth with their baby preparations. First cab off the rank? Some information about how Baby Sussex’s arrival will be handled. Early yesterday, photographers began murmuring that they hadn’t received a brief about the royal tot’s arrival. And now we know why. A statement released overnight (Australian time) revealed that the baby’s birth would be handled discreetly and that the public debut just hours after delivery that we’ve come to expect – thanks to William and Kate – would not be on the cards for Meg and Harry’s bub. In fact, while acknowledging the intense public interest in their little one, they say they are going to keep the labour and birth private. They’ll share details when they are good and ready, and they are prioritising bonding with their baby over the public’s thirst for royal baby details. “The Duke and Duchess of Sussex are very grateful for the goodwill they have received from people throughout the United Kingdom and around the world as they prepare to welcome their baby,” Harry and Meghan said in an official statement. It’s being suggested that the family will advise media when the Duchess is in labour, and then we’ll hear more in the days that follow. We don’t know where the baby will be born, but rumours are still swirling about a possible home birth. We think it’s a brilliant decision and one that they are able to make because – unlike William – Harry’s not ever going to take the throne so it’s not really his duty to show off his baby in the hours following the birth. In fact, Harry and Meg have more freedom to run their family in the way they choose, and from all accounts, this is going to be in as low-key and normal a way as possible. We expect that the Sussex offspring will be mostly kept away from the spotlight in the coming years. 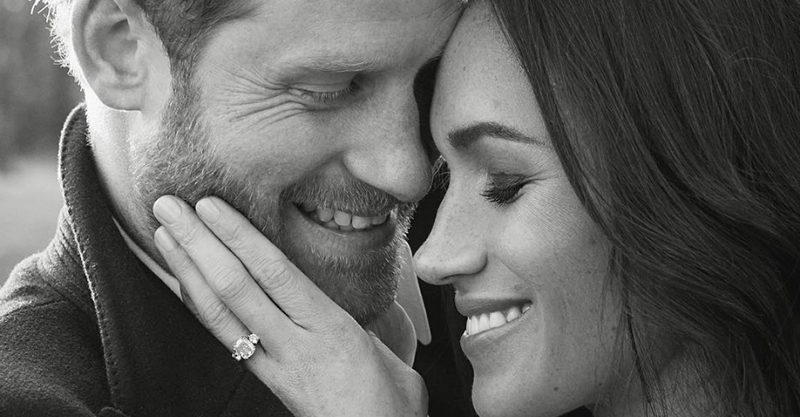 This will create a real thirst for photos of them, which we guess will be managed by the carefully orchestrated release of informal portraits by Harry and Meghan. Frogmore House and Frogmore Cottage is nearby where baby Sussex will make its arrival and live with the parents Duke and Duchess of Sussex. It’s going to be a tricky balance to achieve, and we are guessing the royals will crack down more heavily on photography around this little one as he or she navigates their early years. So stay tuned for that royal baby news. We’ll be hearing more about Baby Sussex once this new family have a chance to enjoy some downtime together.